The Lewis and Clark Expedition's travels in the Bitterroot Mountains and the spot in Ross' Hole where they encountered the Salish Indians (immortalized by Charles M. Russell's famous painting, on the cover of the book) was critical to the Expedition's success. 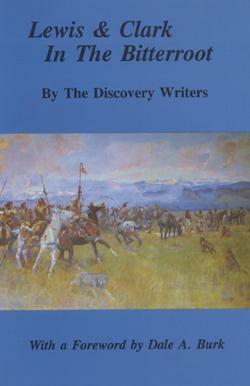 This book makes the first-ever presentation of the Salish Indian perspective of their encounter with the Corps of Discovery at Ross' Hole in the upper Bitterroot. This is a big book with a wonderful narrative that details the two parts of the Expedition in the Bitterroot, put in full context with the entire Expedition. Available in softcover or hardcover. 216 pages, 6x9 format, many photographs, 16-page color section.